 Gumleaf’s Wellington-style natural rubber boots were designed with the outdoors-woman in mind. 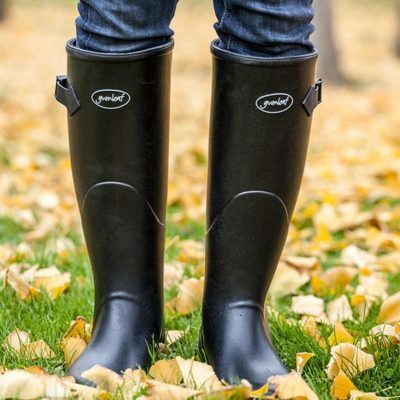 Whether mucking a stall, gardening, walking the dog, running errands on a wet day or standing on the sidelines of a wet soccer field cheering on your favorite athlete; the comfort, style and durability found in a pair of Gumleaf USA rubber boots will not disappoint! For women who spend much of the day outdoors and on their feet, you’ll appreciate the support of an air-cushioned heel and forefoot plus the high-performance sole with all-terrain grip. Natural rubber provides a superior grip in slippery conditions. Many of our boots feature a stitched in 5mm neoprene footbed that stays put when taking off your boots. And they’re 100% waterproof. Need a wider calf size? Need extra room in the calf area? No problem! 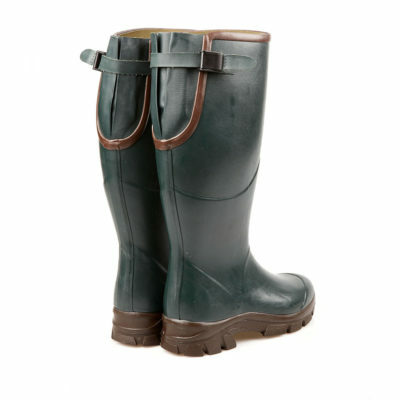 Our neoprene-lined Viking boot is roomy enough to accommodate up to 20″ in calf circumference. The Royal Zip accommodates up to 16″ in circumference and features a top-to-ankle, heavy duty YKK zipper for easy on and off. 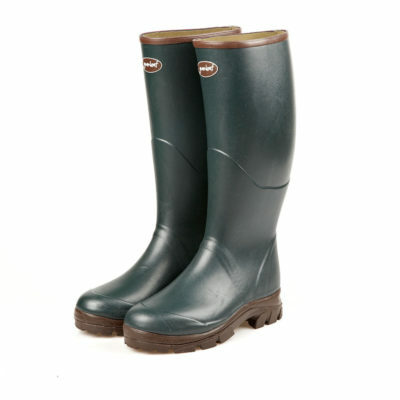 And our cotton-lined Iceni boot is available in wider calf sizes to accommodate up to 14″ in circumference. All of these boots have an adjustable strap to help secure the best fit. 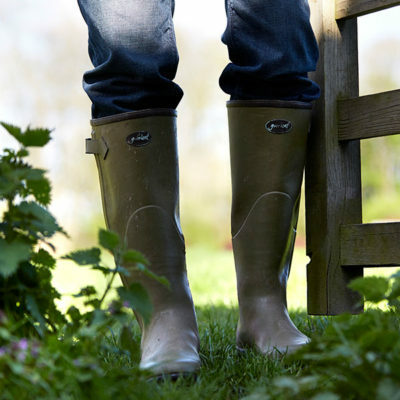 For those hot summer days, choose the coolness of a cotton-lining in our Field Wellies or Iceni Boots. 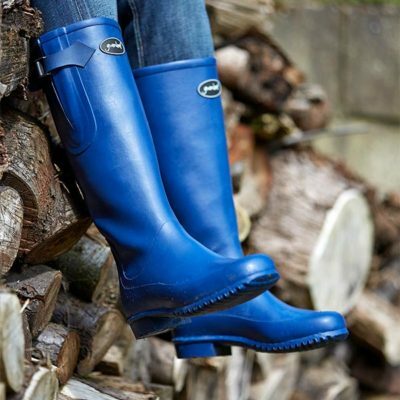 And for cold days, enjoy the warmth of a neoprene-lining in our Royal Zip, Viking, Saxon Classic, or Norse Boots.